And, thank you for visiting our Beebe at the Movies page to find out more about our Nurse Navigators! Meet Carrie Snyder, MSN, APRN, FNP-BC, Nurse Navigator at Beebe Healthcare. Carrie will be serving as a liaison between Beebe and the community to help community members navigate Beebe’s services. She will be answering questions and helping patients understand what screenings they may need or which physicians they should contact. Find out more about Carrie. In her role, Carrie is excited to speak to members of the community about their health journey. Whether you are concerned about bone health or joint pain, your heart health, or you are simply seeking information on physicians or having a baby at Beebe, Carrie is here to help. Call her at one of the phone numbers or email addresses above. She looks forward to hearing from you! You may also fill out an online form to reach Carrie. For Heart Health, click here; for Orthopaedics, click here; and for Women's Health, click here. Beebe Healthcare also has two Nurse Navigators based at the Tunnell Cancer Center. Debbie Campbell, RN, is the Cancer Screening Nurse Navigator and Kathy Cook, MSN, RN, is the Breast Health Nurse Navigator. Find out more about cancer screenings and contact Debbie here. Find out more about breast health and contact Kathy here. 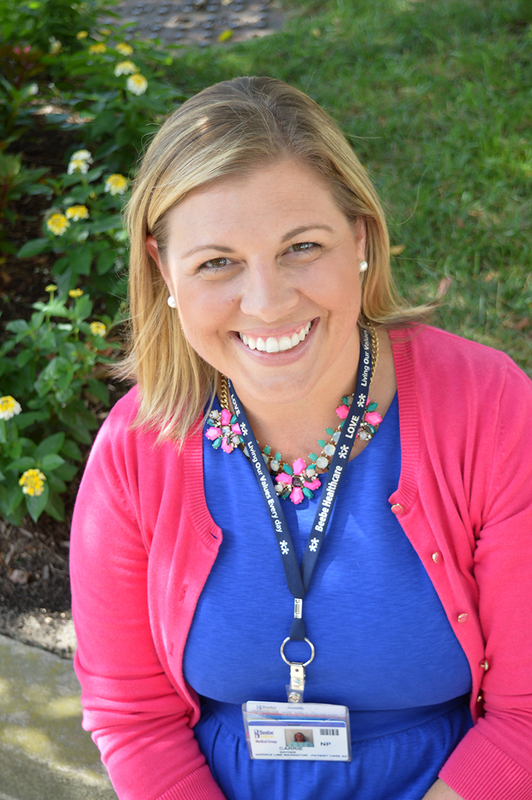 Introducing new Pulmonary Nurse Navigator Katie Smith. Patients who may have breathing issues can work with Katie. Contact Katie for more information at (302) 339-5429 or email her at kasmith@beebehealthcare.org.